A few weeks ago, I ran across a news item saying that the Canadian Nuclear Safety Commission was considering a random alcohol drug testing requirement for anyone with unescorted access to sensitive areas of a nuclear power plant. The news surprised me, because we instituted this policy in the United States years ago. In fact, the rule was promulgated while I worked for Commissioner Kenneth Rogers at the NRC in the late 1980s, so I remember the discussions very well. Although there was a great deal of concern about the drug-testing program at the time, to my knowledge, there have not been significant problems with it. One of my biggest concerns had been the chance of false positives. When the NRC implemented the program for its licensees, it also implemented an internal program. I remember being told that foods with poppy seeds could cause a false positive. The technical solution, of course, was a more sophisticated test that could distinguish everyday poppy seeds from their close cousin, opium. However, in a briefing to those of us who were going to be in the random drug-testing program, an over-zealous staffer told us that, if we were subject to random drug testing, it would be advisable if we did not eat poppy seed bagels. (And by the way, poppy seed bagels are hardly the biggest problem. 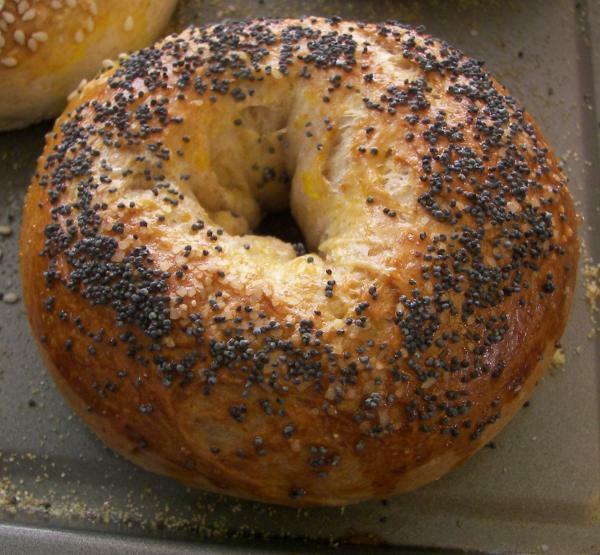 The number of poppy seeds on a poppy seed bagel pales in comparison to the number of poppy seeds in the poppy seed cakes that are popular among German-Americans and others.) Well, I for one was not about to have my employer tell me what to eat and what not to eat. Before that briefing, I happily ate any kind of bagel. Ever since then, however, I choose poppy seed bagels whenever I can! All kidding aside, I am aware that cultural differences and other factors have caused countries to respond differently to concerns about the use of alcohol and drugs on the job. While in that same position at NRC, I accompanied Commissioner Rogers on a trip to France. One day, we were flown by helicopter to see a facility outside of Paris. After the visit, we were flown to a restaurant in an old mansion on a large country estate. The helicopter landed, and we were greeted on the patio with canapes and a glass of wine. As I looked around, I noticed that the helicopter pilot and co-pilot also had glasses of wine in their hands! Later, I asked what the rules were. At the time, it was legal in France for a pilot to drink--but if there was an accident, he'd have the book thrown at him! Fortunately, there wasn't an accident on our helicopter flight back to Paris, and fortunately, I guess, I was never drug tested at NRC after eating a poppy-seed bagel. In any event, I want to assure our neighbors to the north that the flap over drug testing came and went in the US nuclear community, everyone adjusted, and the world is still safe for poppy seed bagels! About six months ago, I wrote about the plan for Russia to join the Nuclear Energy Agency (NEA) of the Organization for Economic Cooperation and Development (OECD) in Paris. I am delighted to report that the process has been now completed and Russia is a full member of NEA. The accession becomes effective January 1, 2013, but all the paperwork has now been completed. As I noted in my previous earlier post, this move makes Russia only the second country to become a member of NEA without being a member of the OECD. The first country to do so, South Korea, subsequently became a member of OECD, so at present, Russia is the only non-OECD NEA member. As I also previously indicated, the accession of Russia, with its active nuclear power development program, will be useful to NEA as it tries to address global international nuclear issues. The move to have Russia join the NEA has its roots in a joint cooperation declaration signed in 2006 while I was at the NEA, so I am very pleased and proud to see this effort come to full fruition. It will also be important for NEA to continue to forge closer relationships with other major nuclear countries, such as China, as NEA continues its efforts to assist countries in maintaining and developing the bases for the safe use of nuclear power. The recent news from Japan indicates that Prime Minister Yoshihiko Noda is moving closer to restarting the first of Japan's nuclear reactors. His initiative is still in progress and continues to face opposition, but he has made an unusually urgent plea for restart of the reactors and painted a bleak picture of what might happen if no reactors are restarted. Not only are Japan's current living standards at risk, but he also lays out the concern about national security and the need to avoid relying too heavily on oil and natural gas from the politically unstable Middle East. To those who believe that Japan is getting along just fine without nuclear power, he points out that the summer months, when the demand for electricity will reach its peak, still lie ahead. Local leaders are beginning to come around, but ominously, some are responding narrowly to the concerns about summer demands by saying that the Ohi plant, the first targeted for restart, should operate only for the summer--at least until Japan revamps its regulatory oversight, a process that is still underway. A related blog by Yoshito Hori, one of my friends in Japan, points out some of the reasons that Japan appears to be surviving without nuclear power, and why the appearances are wrong. He points out that some companies are buying their own generators. This is a very expensive proposition, and the money for those purchases is draining wages, profits, and expansion plans. He also reiterates a concern we've heard elsewhere, that companies are trying to move more of their production capacity offshore, resulting in the hollowing out of industry. He also notes other measures being taken, such as adjusting factory schedules. I would add one important action to Hori-san's blog--that is the increase in the use of fossil fuel plants. The additional use of fossil fuels this past year has already had a measurable effect on air pollution, and will likely result in increased illness and deaths, especially among the elderly and those with chronic diseases. Hori-san's blog reminded me of a dilemma I have faced during most of my career: How does one measure the accuracy of predictions? In my first job out of college, I was doing some long-range planning. I applied for a position in another organization and was challenged by the interviewer, "Why is it that the predictions you long-range planners make always seem to be wrong?" The question took me by surprise, and I probably mumbled an answer that wasn't very good, but the question stuck with me over the years, and I finally figured out what I should have said. It is human nature to try to prepare for a situation and to make adjustments. Therefore, for example, if you predict a monster hurricane that could kill a million people in coastal communities and they evacuate and no one dies, was the prediction faulty? What is happening in Japan is a less extreme version of the same phenomenon. People and companies are being warned of potential power shortages, so they are making all the adjustments they can. Some are fairly small things, like shedding coats and ties. Others are relatively minor inconveniences, like making do with less lighting. Still others involve various kinds and degrees of individual and corporate sacrifices--changing work schedules, cutting back work hours, delaying growth plans. These shift the dynamic. We don't see the predicted energy shortages, or if we see them, they are far less than the original predictions, so the original prediction looks "wrong." There are effects on people's lives and on the economy, but it is often difficult to make a one-to-one correspondence between the shuttered nuclear power plants and some of these consequences. There are spurious events, such as the abnormally cool weather in Japan last summer, that provide misleading "evidence." Hori-san's blog ends with a stark vision of the two choices facing the nation--to learn from the accident, restart the plants whose safety is validated, and in parallel, develop a new long-range energy strategy, or to leave the plants closed and to see the national wealth drained. It may seem somewhat of an irony that the rules for selecting the leadership of the NRC are different from the rules for selecting staff. While the NRC prides itself on the academic qualifications of its staff and the high level of experience of those in line management, Commissioners are not selected by the same rules. With the nomination of Dr. Allison Macfarlane to be an NRC Commissioner and Chairman of the Commission, the discussion of qualifications has been opened once again. Concerns have been expressed because her doctorate is in geology, not in nuclear engineering, and because she has no management experience. Are these valid criticisms? What should the academic and experience requirements be to be an NRC Commissioner? To be the Chairman of the NRC? Let's look first at the technical qualifications. If you look back over the history of the NRC, we have had Commissioners from a variety of backgrounds. Some, but not a majority, have been nuclear engineers. Many, but not all, have been scientists. Some have been attorneys. Some of the Commissioners who were not trained as nuclear engineers worked on nuclear issues on Capitol Hill. Others did not. A few Commissioners have been businessmen from totally outside the nuclear field. Most Chairmen have had management experience, but some have had none. Most of us who have watched the Commission for many years can probably point to the Commissioners and the Chairmen we thought did a great job and the ones who we thought weren't so great. I daresay if we each looked honestly at our own lists, the names on them would not all be nuclear engineers. They would likely be a mix. What is it that has distinguished the ones we thought were great? It is that they were smart and thoughtful. They were objective and open-minded. They were safety-focused and realistic. They took the trouble to develop an understanding of the technical issues, they listened to all points of view, and they were willing to work with the staff and the other Commissioners to arrive at sound decisions. A nuclear engineer can do those things, but so can a physicist, a chemist, an attorney, or an English major. Or a geologist. As a nuclear engineer myself, I do, of course, like to think that nuclear engineers can do a better job than others. Certainly, it has to be helpful. But I am hard pressed to say it is necessary. NRC's work spans many technical disciplines, not all of them reactor-related. 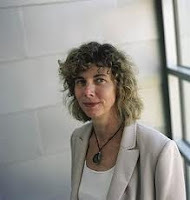 What is more relevant than her academic discipline is whether Dr. Macfarlane has the ability to review all issues before the Commission fairly and objectively. She comes into the job with positions on several issues that may not be in line with those of the other Commissioners. What is relevant is how she is likely to handle those issues. The other issue that has been raised is Dr. Macfarlane's lack of management experience. This certainly is a valid concern, but it may not be the make-or-break issue. 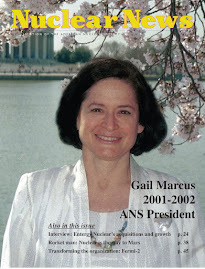 What may be more important, particularly in the current environment, is her interpersonal skills. Since I do not know Dr. Macfarlane personally, I can't comment on those. I have deliberately chosen not to take a public position on this nomination because I do not believe that I have all the facts. While there are certainly other individuals who could have been selected for this position and who would not arouse the same degree of concern, that is a moot point. The focus at this point should be on assessing whether Dr. Macfarlane can act fairly and impartially on all issues that may come before the Commission. A geologist should be able to do that. The question is--Can this geologist do that?